MAJOR changes to the Licensing (Scotland) Act 2005 were introduced in the run-up to Christmas. These have very important implications for your business, and it’s more than likely that they have not appeared on your radar. As I explain in the Q&A sections of SLTN, members’ clubs have been obliged to advise the changes in office bearers to their licensing board. A similar requirement falls on limited companies and partnerships holding premises licences: the board must be advised not later than one month after a person becomes or ceases to be a director or partner as the case may be. The police will carry out a vetting procedure when they learn of new appointments and take action where it appears that someone with a significant criminal past is involved in the management of licensed premises. The system of ‘vicarious liability’, present in the Licensing (Scotland) Act 1976, but initially ditched in the new Act, has made a comeback. Now, where any one of 18 offences is committed by the ‘employee or agent of a premises licence holder’, the buck stops with the bosses: the licence holder can be prosecuted, even where no proceedings are taken against the employee or agent. There’s a safety net, however. The premises licence holder can prove that: (1) he did not know that the offence was being committed; and (2) he exercised ‘all due diligence’ to prevent the offence being committed. If you have not already done so, it’s time to give close attention to your due diligence system. The central pillar is training. 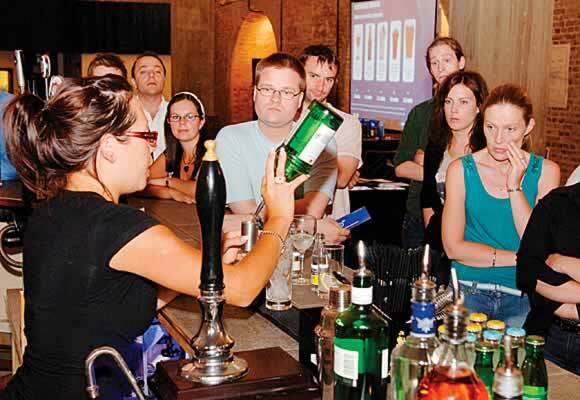 Of course, all staff employed to sell or serve alcohol must undergo two-hour training covering 16 prescribed subject areas, but it would be foolish to place your faith in that requirement if you have to dig yourself out of trouble. Instead, you should devise a much more rigorous regime with outside expert help if need be. A train and forget approach is not an option. Refresher instruction is absolutely essential because a one-off box-ticking approach will quickly be exposed as falling far short of the due diligence standard required by the courts. For example, it’s quite common for supermarket and convenience store operators to have regular pep talks with staff, and, as you might anticipate, the focus is usually on the prevention of alcohol sales to persons under 18. (There might, for example, be reminders that increased vigilance is required at certain times of the year, such as school holidays). And, of course, you must keep properly documented training records. Some time next year the scope of vicarious liability will be extended to so-called ‘interested parties’. A train and forget approach is not advised, said Cummins, who advocates refresher training to ensure operators meet due diligence standards demanded by the courts. These are persons who are not the premises licence holder nor the premises manager but who have an interest in the premises as an owner or tenant or exercise ‘management and control over the premises or the business carried on the premises’. (There will also be a requirement to advise the licensing board of changes to interested parties.) It has been suggested that landlord companies holding licences will be exposed to prosecution for offences that took place well outwith their control. That’s an understandable misapprehension – these new provisions are particularly complicated. But, in fact, the person committing the offence must be an employee or agent of the interested party. Of course, tenants of premises will employ their own staff, so it’s not the landlord who will normally be in the firing line. 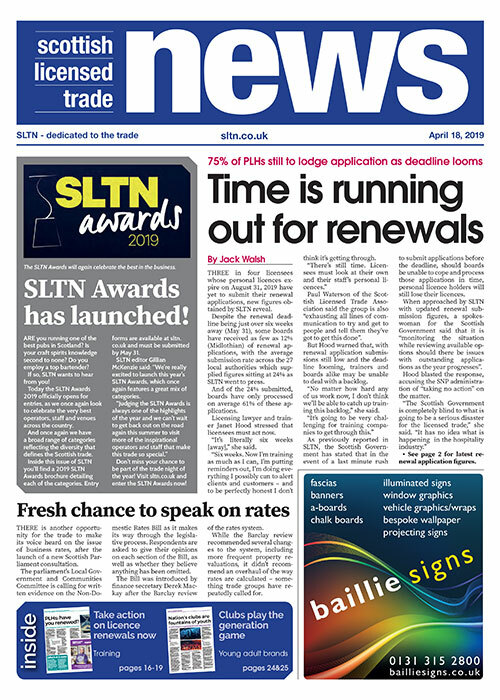 I’ll be delving further into the complexities of interested parties in a future issue of SLTN when the start date for the relevant changes has been announced.